Compatible Printer List Save 10% on below products when you purchase 1 or more G3 electronic cigarette to enter code DDKL5R4J. Best Gift for 2018: The perfect healthy gift to get for your friends and family. ✔ Elegant design - The body is covered by fade resistant vacuum plating; Glass tank has a solid metal protector. Drip tip and evaporator are made of quality steel. The smooth and shiny surface makes this e-cigarette very elegant. ✔ Magnetic sanitary dust cover - Gently put on the dust cap to protect the inhaler tip against the dust and bacteria. ✔Long-life rechargeable battery - 900 Mah will provide you with several days of satisfying moderate vaping. ✔3.0ml capacity juice tank - Large capacity of Clearomizer, reduces the frequency of refilling, saving you time. ✔Safety 5 click system - 5 clicks to turn the device on /off. 1. 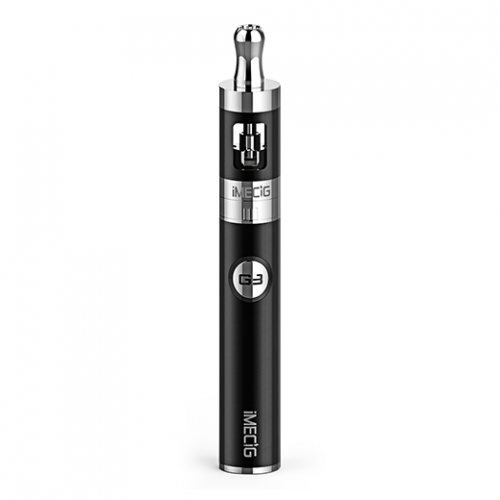 No nicotine and no e liquid included.If you need e-juice, please kindly find them in Imecig. 3. Let the device stand for at least 7 minutes to allow e-liquid to be absorbed into the coil chamber to avoid a burnt taste. 4. Tighten the screws after you finish filling the e-liquid to avoid leakage. 5. Save battery life by turning off when not in use. 6. Not suitable for those under the age of 18 and pregnant women.